Jose Mourinho says there was nothing in Manchester United's 2-1 defeat to Valencia on Wednesday that surprised him. A Carlos Soler strike and a Phil Jones own goal condemned the Red Devils to a loss at Mestalla, with a Marcus Rashford header proving mere consolation. United had already secured their place in the last 16 of the Champions League, but a victory would have seen them finish top of Group H given Juventus suffered a shock 2-1 defeat to Young Boys. 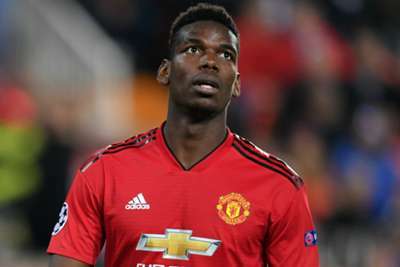 Mourinho made eight changes to the team that beat Fulham 4-1 last Saturday, with Paul Pogba restored to the starting line-up and the likes of Romelu Lukaku, Andreas Pereira and Fred given the chance to impress ahead of Sunday's Premier League clash with Liverpool. However, when asked if he had learned anything from the match, the United boss told a news conference: "No, maybe you did. Not me. I didn't learn anything from this game. Nothing that happened surprised me at all." Although he was "not pleased" with his team's performance, Mourinho was happy to qualify from the group and does not believe United will necessarily be at a disadvantage in the last-16 draw, despite finishing second. "I think that to qualify in this group is a success," he said. "Before the game, I told the players if we win tonight and Juventus win, then we did our job. If we don't win and Juventus don't win, we can blame ourselves. "Apart from a couple of clubs that are clearly much better than the others, I don't think the draw will be so different. There are teams that finished second that the ones that finished first are not happy to play against." Mourinho admitted there was "a little bit of frustration" that he had to bring on Ashley Young, Rashford and Jesse Lingard in the second half, suggesting all three are in line to face Liverpool at Anfield. However, he made it clear there are places up for grabs in the team, particularly due to injuries. "Marcos Rojo no, because he's injured," he replied when asked if any of the starters against Valencia will keep their place. "The rest are not injured, they belong to the squad. We have lots of players that were not here because they are injured. This is our squad, our players. They have a chance to play Sunday. "[Chris] Smalling is injured, [Victor] Lindelof is injured, [Matteo] Darmian is injured, [Anthony] Martial is injured, [Diogo] Dalot is injured. The only two players I could bring and didn't were [David] De Gea and [Nemanja] Matic. "You are the first ones to make the stats and how many minutes he [Matic] is playing and that he needs a rest. If he doesn't have a rest in a match [where] we have already qualified, he would play until he explodes. "It was a normal option to leave him out and [with] David it's to give a match to [Sergio] Romero. Romero is such a good goalkeeper; I played him in the Europa League final a couple of years ago."